As the election gets closer, there’s increased pressure on all sides of politics to explain what our vision is for Tasmania. We’ve been developing ideas for Tasmania right throughout the last four years and under the leadership of Rebecca White we have released an Economic Direction Statement which sets out our plan for Tasmania. With an election due in March next year Tasmanians can expect new policy announcements between now and then. It’s well publicised that we will release a policy on gaming ahead of the election. We have been proud of the extensive consultation we have undertaken as we work towards a comprehensive policy position. It’s been critical that we’ve heard from all voices in the debate as it’s a crucial decision for Tasmania, both in terms of economic and social outcomes. If any readers would like to discuss the issue of gaming, or any other issue for that matter, I’d encourage you to contact me on 6212 2383 or scott.bacon@parliament.tas.gov.au. Labor is proud of the policies we’ve already put on the table, from ways to address the crisis in our health system to strategies to reverse the trend away from full-time employment in Tasmania. 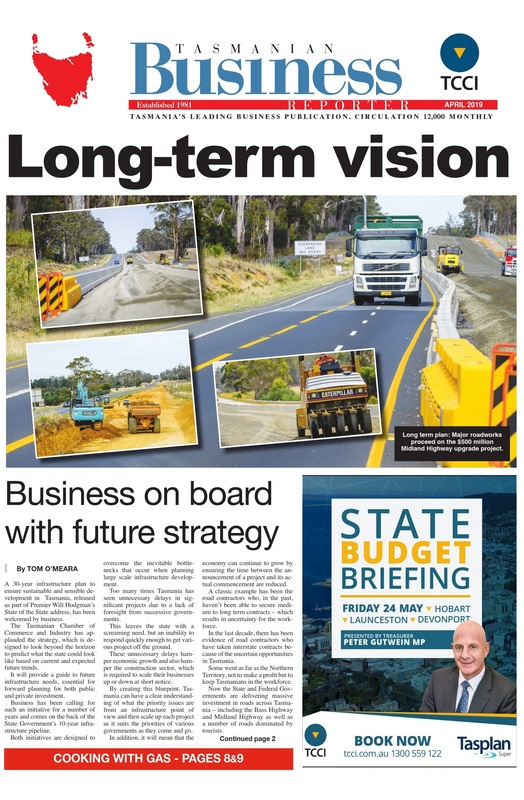 We have sensible policies and investment commitments that we believe are in the best interests of Tasmanians. We also want to make the connection between industry and our education providers stronger, by establishing Industry Advisory Councils.